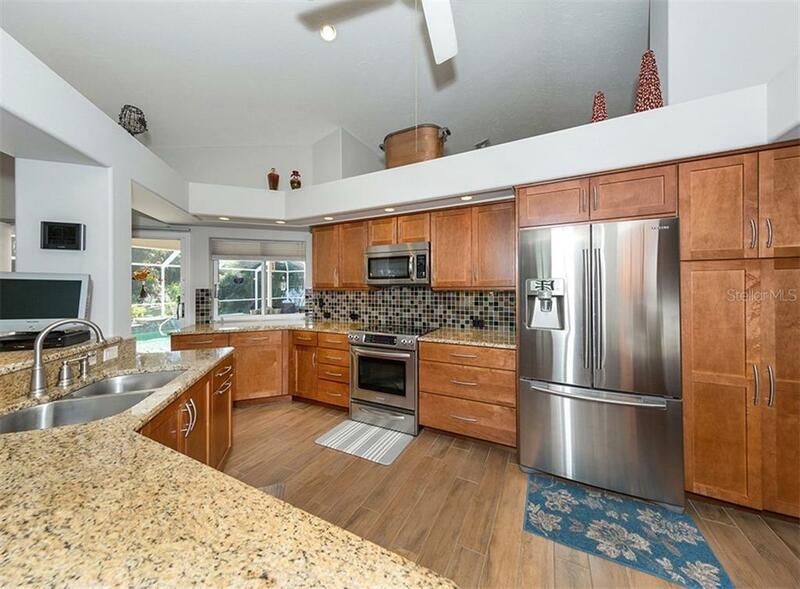 Ask a question about 5030 Southern Pine Cir, or schedule a tour. 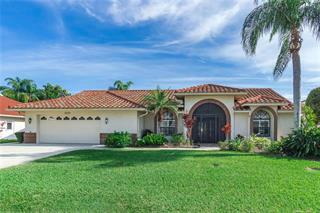 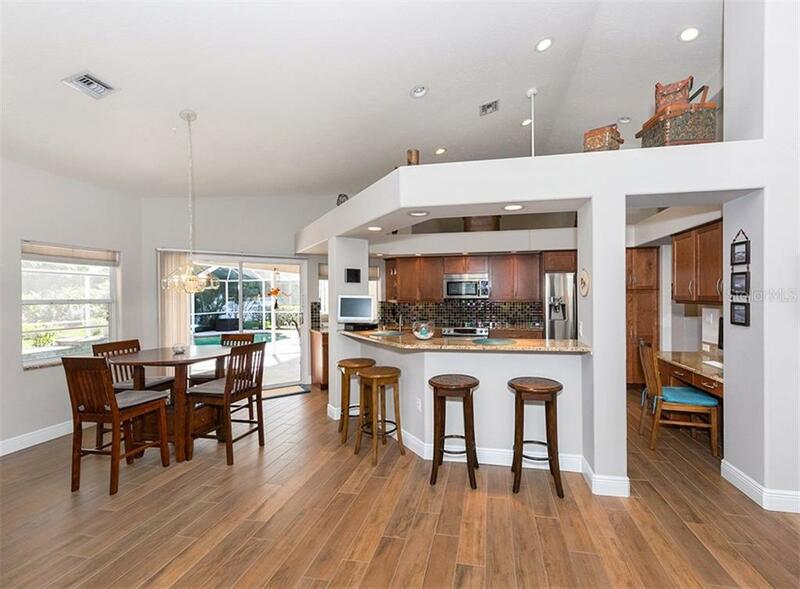 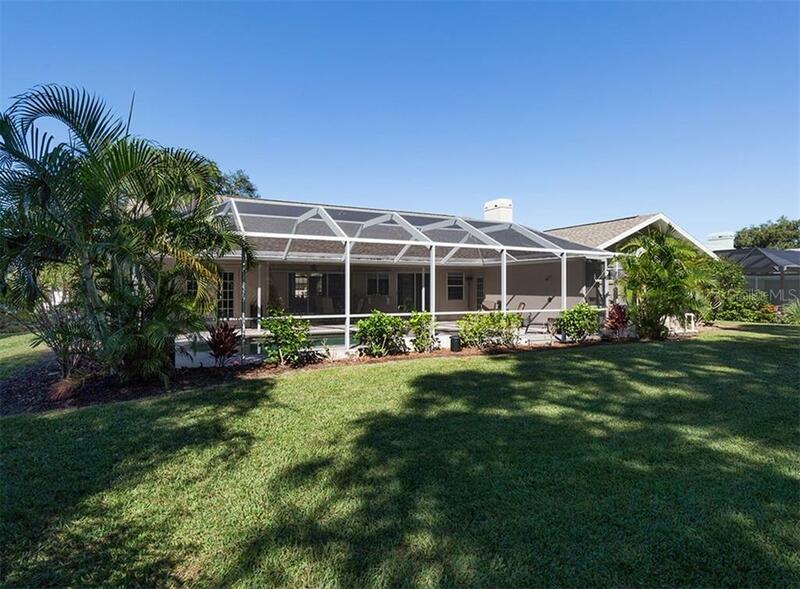 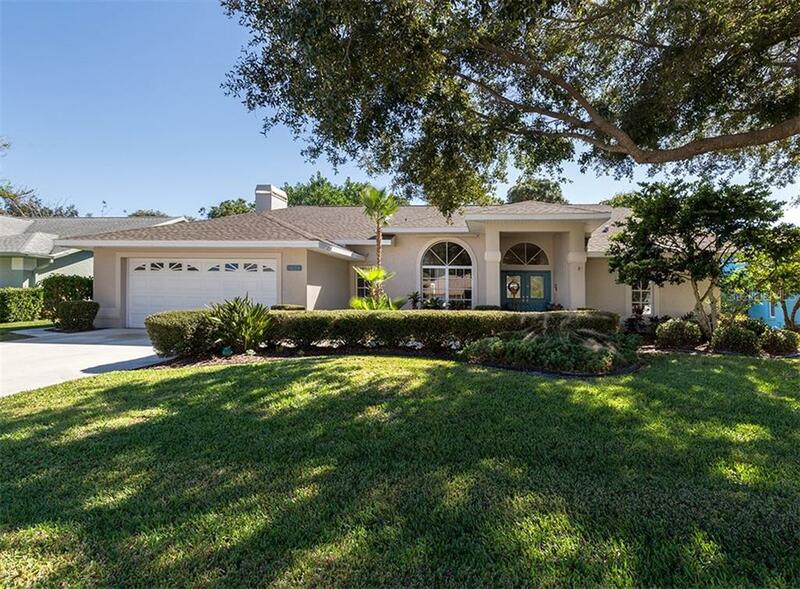 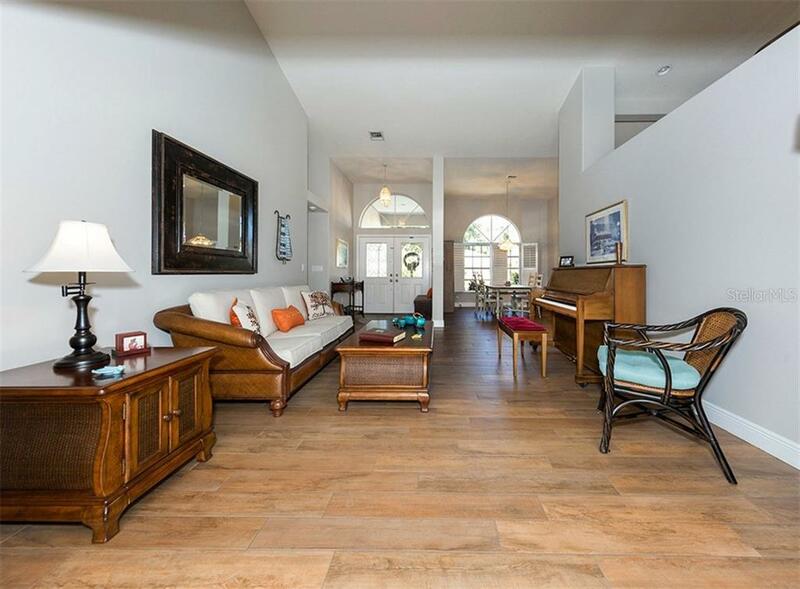 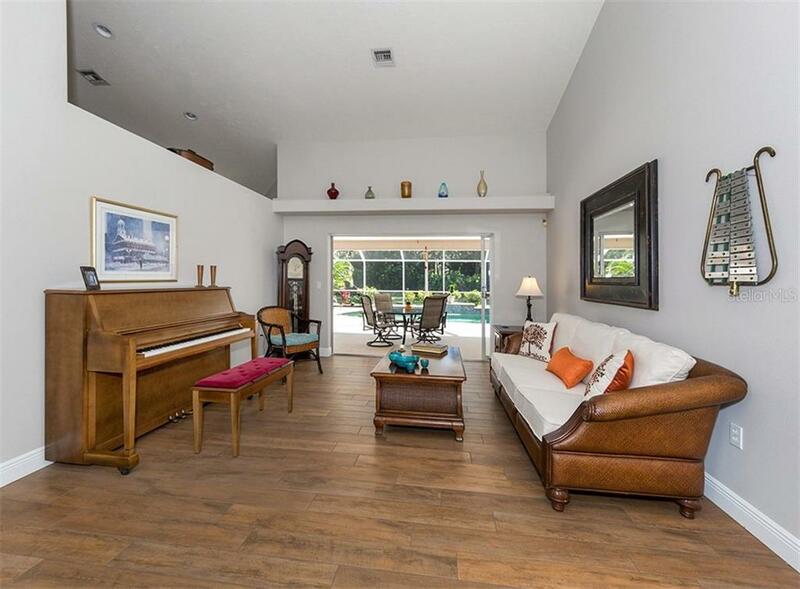 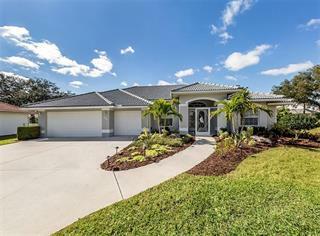 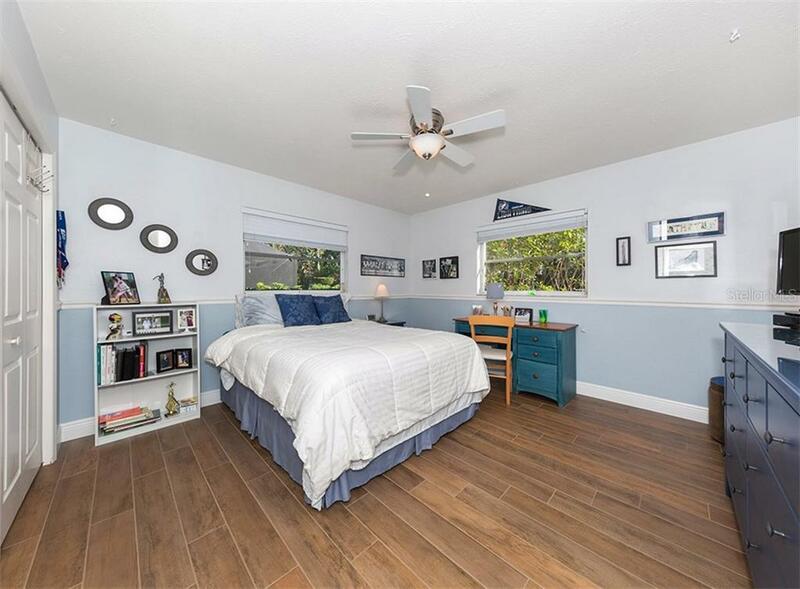 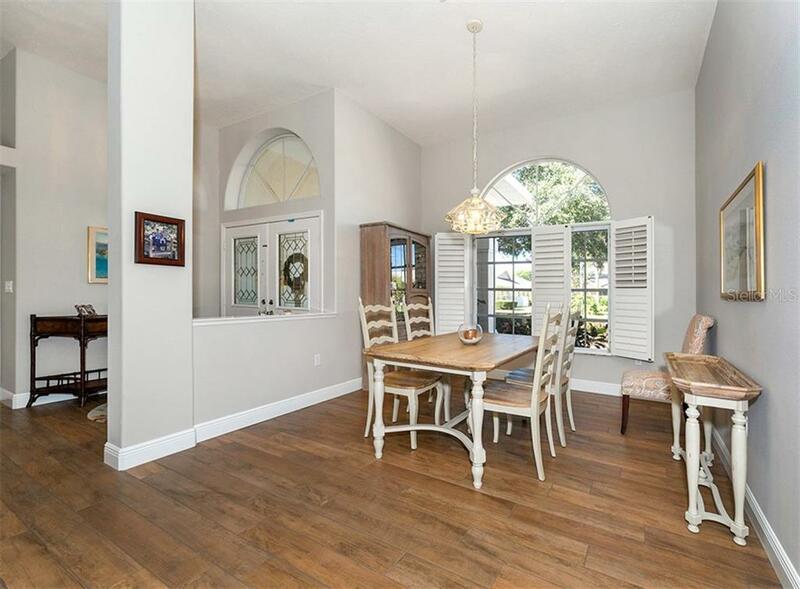 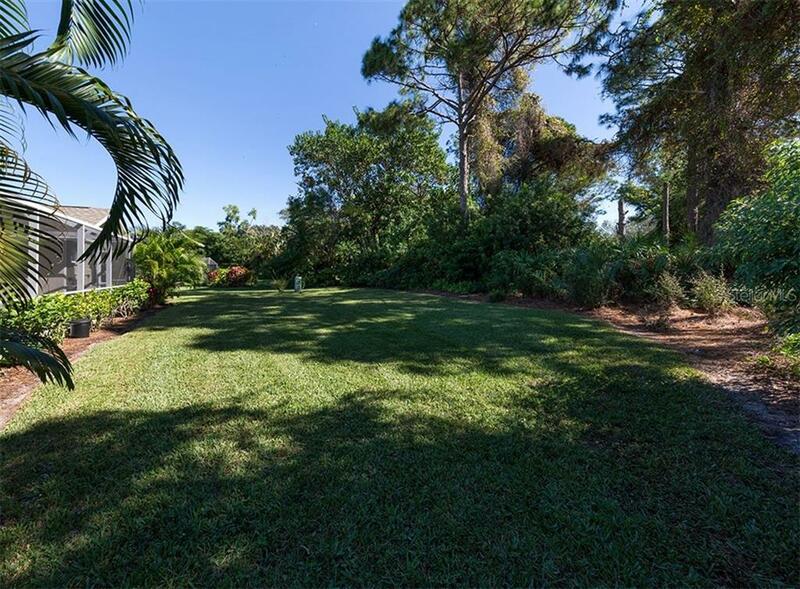 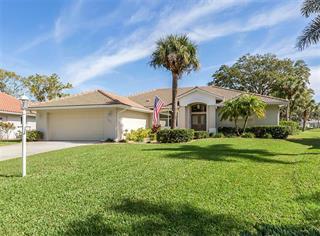 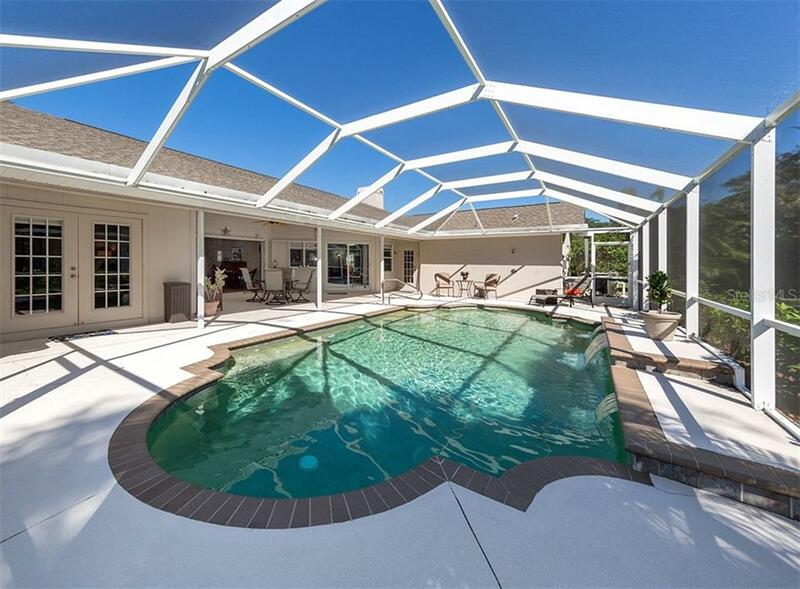 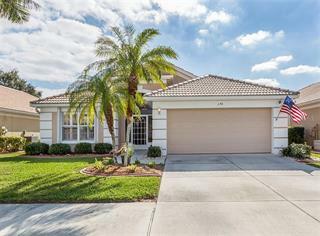 Located in the sought-after and well-established community of Southwood, this beautifully designed pool home offers the best in casual Florida lifestyle. 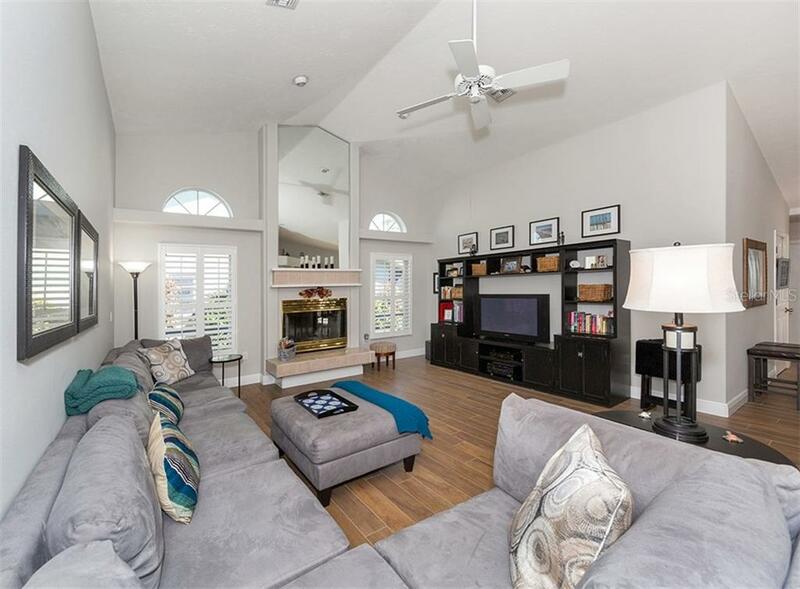 With its 2,460 square feet under air this floorplan features a gracious split l... more.ayout consisting of 3 bedrooms, 2 bathrooms, 2-car garage, under cathedral ceilings. 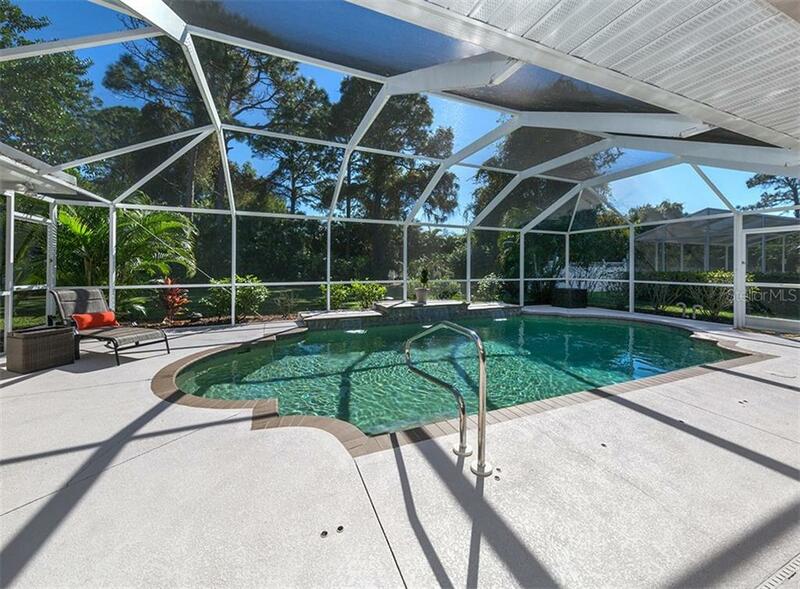 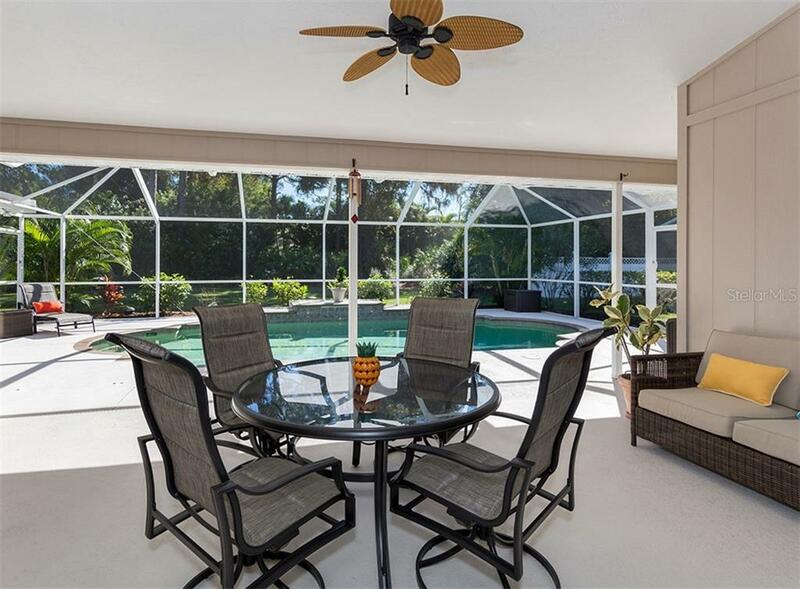 The spacious screened-in lanai with a beautiful heated pool offers privacy, and overlooks the gorgeous and tranquil preserve. 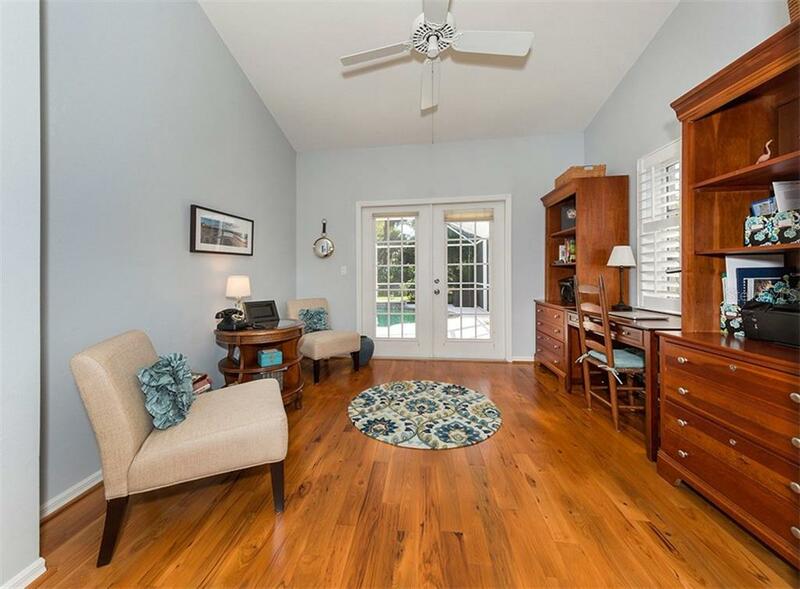 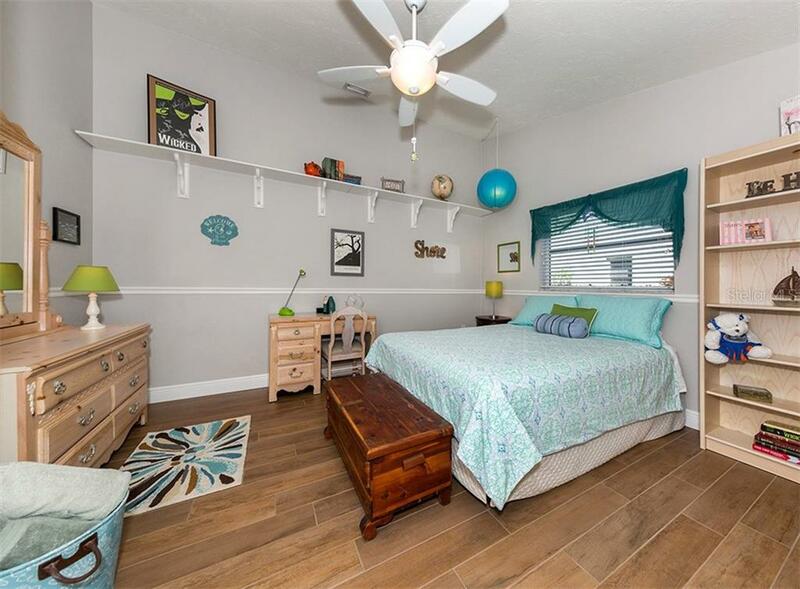 Attention to detail is evident throughout this tastefully updated, move-in ready home. 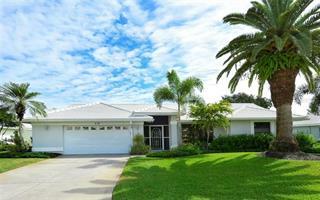 Upgrades include repiping in 2010, a new roof in 2014, and recent repainting inside and out. 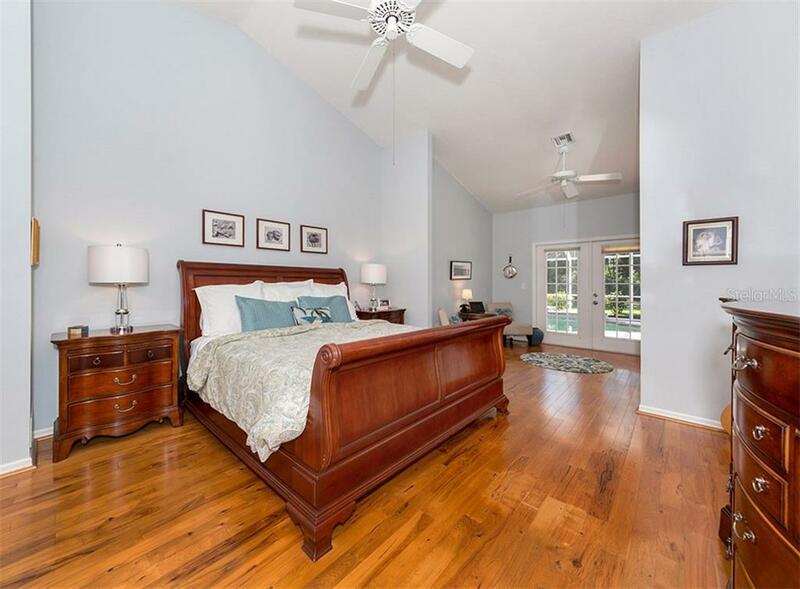 There is new porcelain wood-look-tile throughout, except for the large master bedroom, which has hardwood flooring. 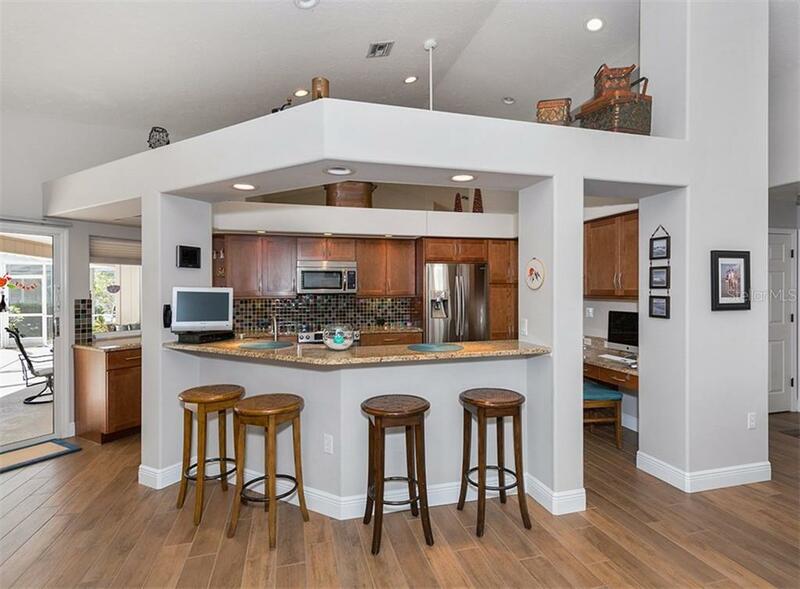 The updated kitchen features stainless steel appliances, granite countertops, built-in desk, and large breakfast bar. 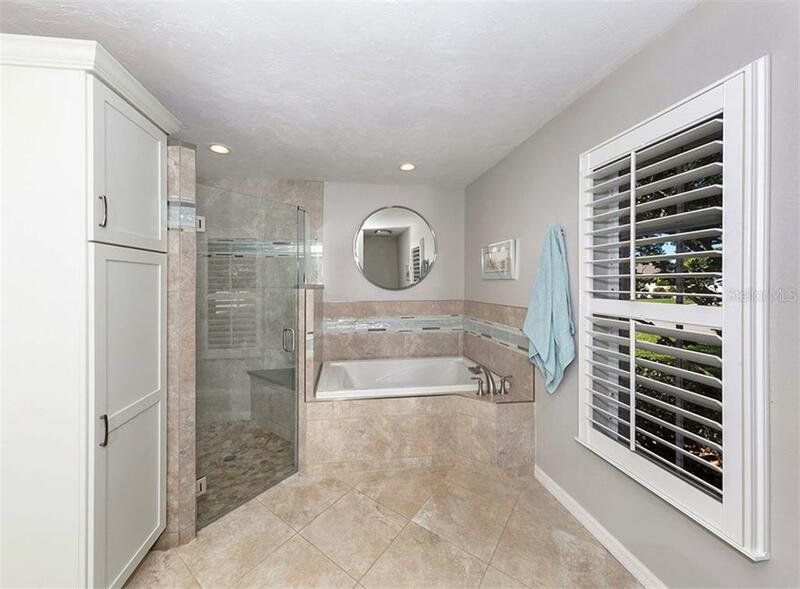 Both bathrooms have been updated as well. 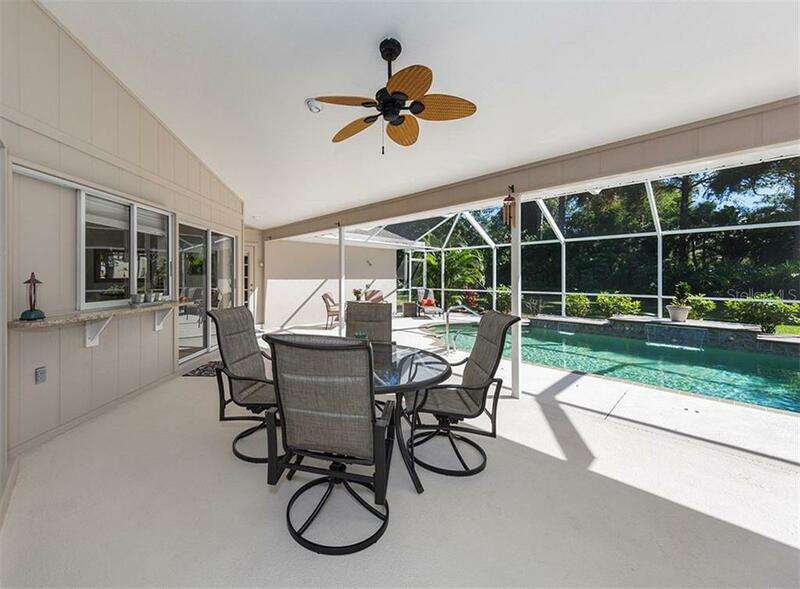 For peace of mind hurricane shutters are included for most of the opening. 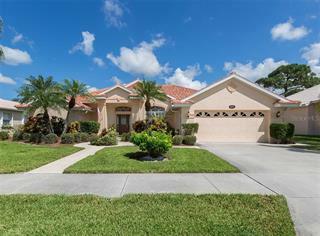 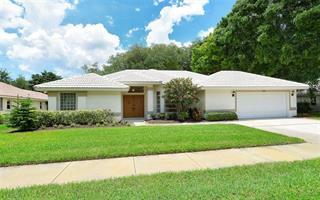 Low HOA and taxes make this well maintained home efficient, affordable and desirable. 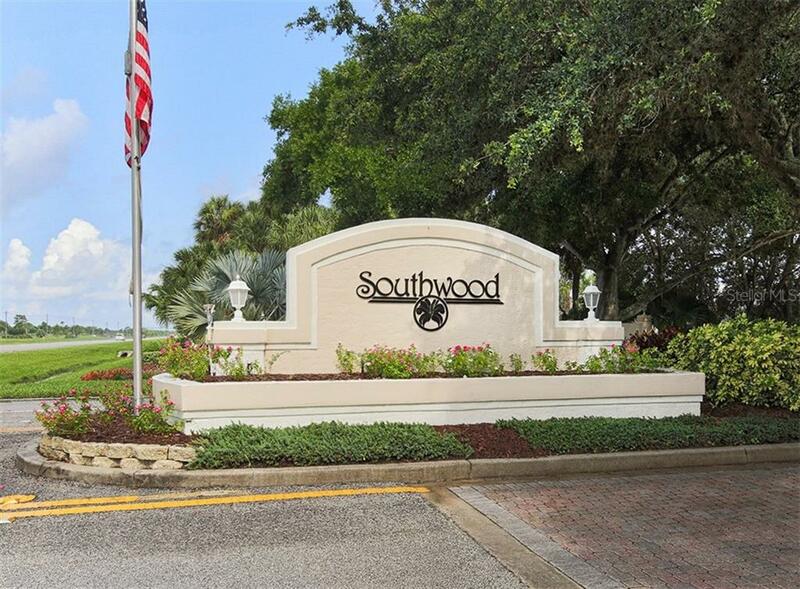 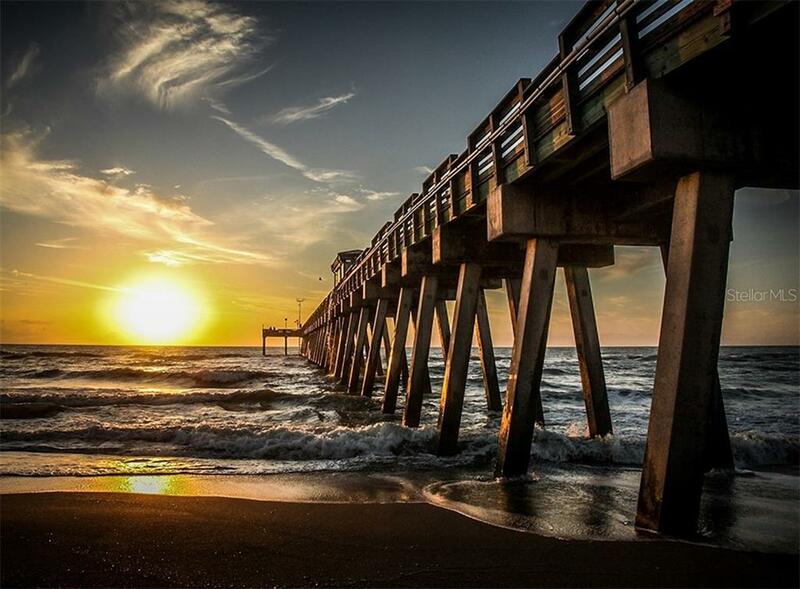 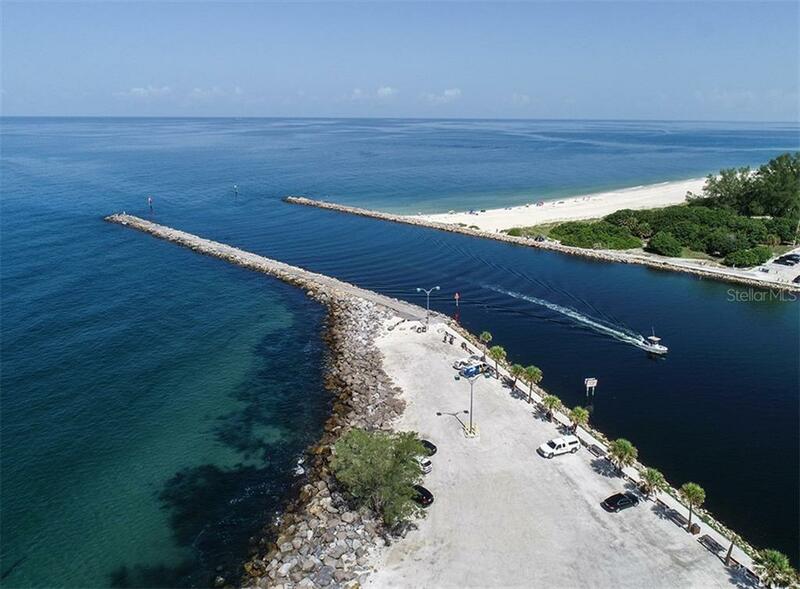 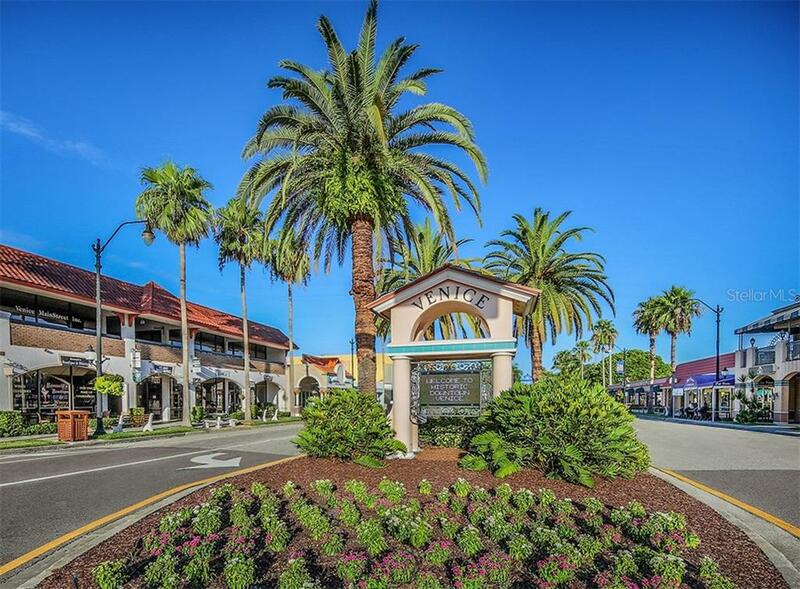 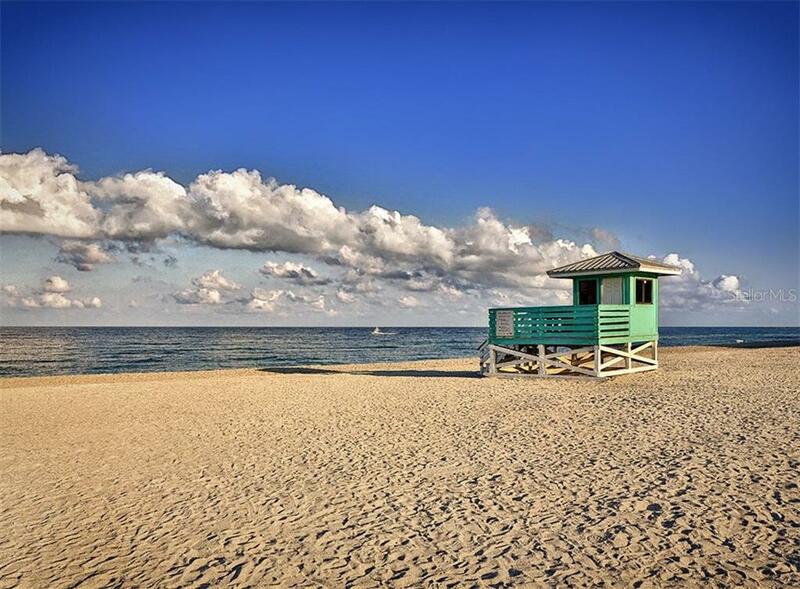 Southwood is only minutes away from shopping center, beaches, fishing piers and downtown Venice with all its shops and restaurants.